The mere mention of the Affordable Care Act can make employers wince, but there may be a silver lining for some woven into its terms. One of the provisions of the ACA is the small employer health care tax credit. It allows certain small businesses to claim a credit when they pay at least half of the health insurance premiums for their employees. The credit got off to a rough start. It's somewhat difficult to calculate and some employers initially found that their credits were miniscule if they even got one at all. Then the maximum credit was increased in 2014, taking some of the sting out of laboring over those calculations. The small employer health care tax credit is equal to up to 50 percent of employer-paid health insurance premiums. The tax credit was only 35 percent of eligible health insurance premiums from 2010 through 2013, and non-profit employers can still only claim up to 35 percent. As with all tax credits, there are other rules and limitations as well. A three-pronged test determines which small businesses qualify for the health care tax credit. The business must have less than 25 full-time equivalent employees. The average wage paid to employees must be less than $51,600 as of the 2016 tax year. Add up the total you paid in wages and divide it by the number of your employees to find the average. Health insurance premiums must be paid through a "qualifying arrangement." Small businesses cannot take a tax credit for insurance premiums paid on behalf of their owners. This includes owners of corporations, partners in partnerships, and sole proprietors. No tax credit is available for employees who own 5 percent or more of a business structured as a C-corporation, and no tax credit is available for employees who own 2 percent or more of an S-corporation. Partners, members of LLCs that are treated as partnerships, owners of single-member LLCs, S-corporation shareholders owning 2 percent or more of an S-corporation, and sole proprietors are all treated as self-employed persons for health insurance purposes. They're not entirely left out in the cold, however. They're eligible for the self-employed health insurance deduction instead of this tax credit. 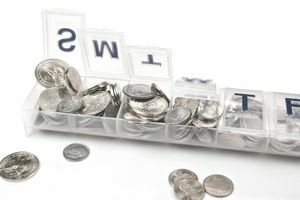 The Internal Revenue Service defines a qualifying arrangement as one that "is generally an arrangement that requires you to pay a uniform percentage not less than 50 percent of the premium cost for each enrolled employee's health insurance coverage." The IRS has clarified that this 50-percent rule applies just to employee-only health coverage. A scenario in which the employer pays half the employee-only coverage and the employee pays all the premiums for covering his spouse and children would still qualify. The number of full-time equivalent employees exceeds 10. Average annual wages exceed $25,800 per full-time equivalent for years 2015 and later. Actual health insurance premiums exceed the average premiums paid for health coverage in the employer's geographical area. The health care tax credit can be calculated and claimed using Form 8941. The form must be attached to the business's tax return. The credit then reduces any income tax the business owes. It' non-refundable, however, so the most it can do is reduce any income tax owed to zero. The business will not receive a refund for any credit that's left over. The credit cannot offset payroll tax or self-employment tax liabilities for small business owners. Small businesses can take both a deduction for health insurance premiums and the health care tax credit, but the amount of the deduction is reduced by the amount of the tax credit. Small businesses should review their accounting systems to make sure they're accurately keeping track of employer-paid and employee-paid health insurance premiums. This can be vitally important because employers must report the value of health insurance benefits on employees' W-2 forms. Business owners might also want to review how they structure their health benefits. For example, owners might want to revise what percentage of health insurance premiums they pay so as to be eligible for the tax credit. This can be offset by adjustments in salary, particularly for new hires.